Me and my 2 companions rented an airbnb apartment in Brooklyn Williamsburg, one of the in and hipsterareas in NY. I can really recommend to use airbnb here, you pay a lot less than with Hotels/ Hostels and your host may be able to give you some great insider information. If you want to enjoy the best view of NYC, go up the new world trade center, called One World Observatory. It costs 32 dollars but the view is worth every cent. You can see all of Manhattan, Brooklyn and New Jersey while taking pictures that make every friend of you die of envy. The New World Trade Center is also pure entertainment because every step in the building is surrounded by some patriotic American video, picture or music. God bless the United States of America! Of course do all the touristic stuff, but take one or two days and leave your maps at home, smartphones and cameras in your pocket and just walk! Explore the real NYC full of interesting NYC people: Williamsburg, East Village, Meatpacking District, Union Square/Washington Square (NYU students area). If you want to rest, just look for a bench, sit down and watch people. This will never be boring in NYC. When you’re in the Meatpacking, make sure to go up the Highline, a former train line between the Meatpacking and lower Manhattan. Since 2002, it has been modified and designed to a very unique park with lots of green, water and places to sit or lay down. Here, you can relax and forget the stress the big apple sometimes enforces. This year’s New York trip has been an overwhelmingly great experience. Although we’ve walked and seen a lot, it’s very difficult to capture all the happenings in words.It’s just about the feeling and the impressions you get, walking through this great city full of interesting, crazy and shining people. It has been one of the trips that will be forever in our mind and not just in your camera roll. We did take photos though, so here are some of our favorite impressions. But make sure you don’t miss your trip to NYC! Sounds familiar? Well,then you are in the melting pot. 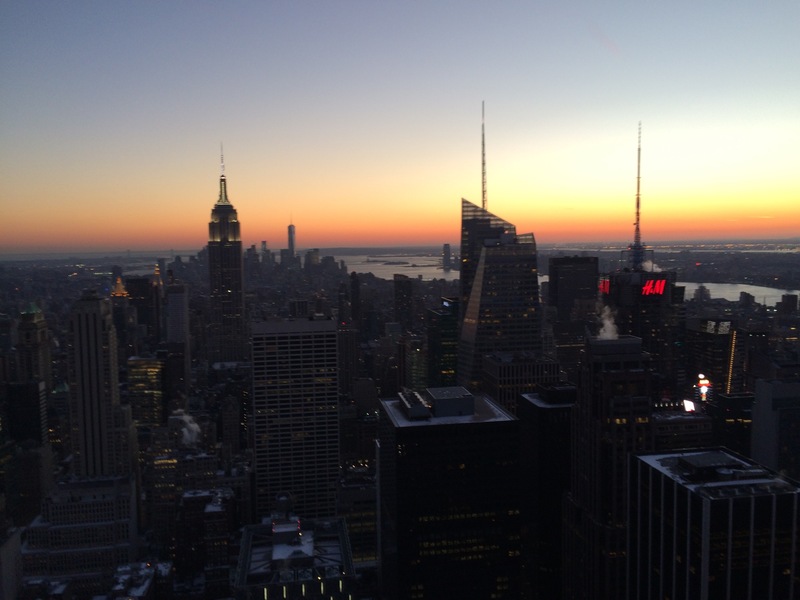 New York, what a city… No place in the world can compare. So let me begin step by step. We arrived into Newark airport, which is one of the three big ones, and one of the two big international airports surrounding NYC. Well, it is also the one which does not lie in New York, rather then in New Jersey, hence the distance to Manhattan is 1-1,5 hours by car/cab and it will set you back around 90 bucks including base fade (65 usd), tolls (20usd) and a tip for the driver. As mentioned, there are two more airports, LaGuardia, which mainly serves domestic air traffic (it’s called international since it also flies into the Canadian east coast) and JFK. Both are a bit closer to the city (LaGuardia in Queens and JFK In Brooklyn), while LaGuardia seems to be the closest one. There are so many must sees in NYC and so many places to go, so I will not list all of these. However, here is some advice. 1. Try to concentrate each half day (so morning – lunchtime, afternoon-evening) to one are in manhattan. You can travel to e.g. downtown by metro and then walk around for half a day. then travel up to midtown and walk around for the rest of the day. 2. You can book a lot of activations and sights online! Do so, as lines to buy tickets can be long. this can safe you a lot of time. 3. If planning to visit indoor sights, such as museums, you should do this in the very morning. as mentioned above, people are queuing all day, but the mornings seem to be the time with less people. Breakfast, Lunch and Dinner – well, there are so many places and so many different cuisines, just go and try. 4. Food in NYC is generally ok-good and it will be always up to one’s budget and taste. 5. If you want to see the statue of liberty, you can do so for free. Well, you won’t come as close to the statue as with the original tour operator, but who wants to stand next to a 100m statue? doesn’t make a lot of sense Just take the staten island ferry from the Whitehall Terminal (Metro 1 to South Ferry Loop) next to Battery Park and just do a round trip. It will take you 2 hours in total, but the ferry ride provides you with a good view of lower manhattan and the statue. if you have some spare time, you can always check out Staten Island. 6. New York City is the only city with 2 sports teams in each of the 4 big american sports leagues – NFL, NHL, MLB and NBA. And they even have 2 MLS teams. So there is lots of sports action guaranteed 365 days a year.